Lyrarapax is a new anomalocarid described on July 16, 2014. It’s the first known fossil of an anomalocarid that preserved the brain. The muscles of the swimming lobes are also preserved in the fossils. The study was published in the journal Nature, but I didn’t have access to the full article, only the abstract. The fossils are from the Chengjiang biota of China and preserve the neural system and brain. The brain of Lyrarapax is very similar to a velvet worm’s brain. There have been some papers published speculating that anomolacarids might have been related to priapulids or certain other groups of worms. However, it was generally accepted that they were either arthropods or onychophorans (velvet worms), and these Lyrarapax fossils give really strong evidence for that. 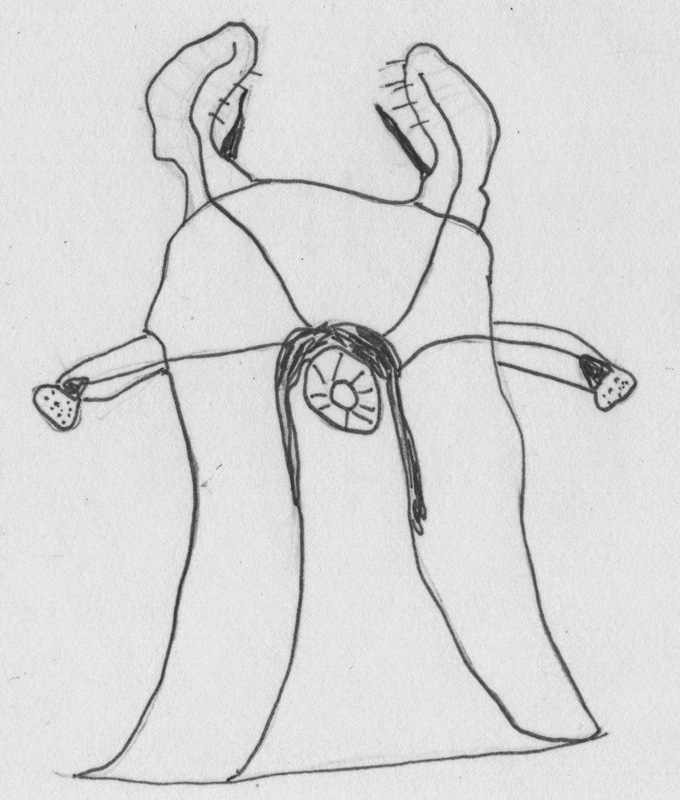 My illustration of the head of Lyrarapax showing the brain and neural system. Lyrarapax was only about 8cm long and did not have the fantail seen in some anomalocarids. Its claws were positioned horizontally, similar to Anomalocaris saron’s claws. 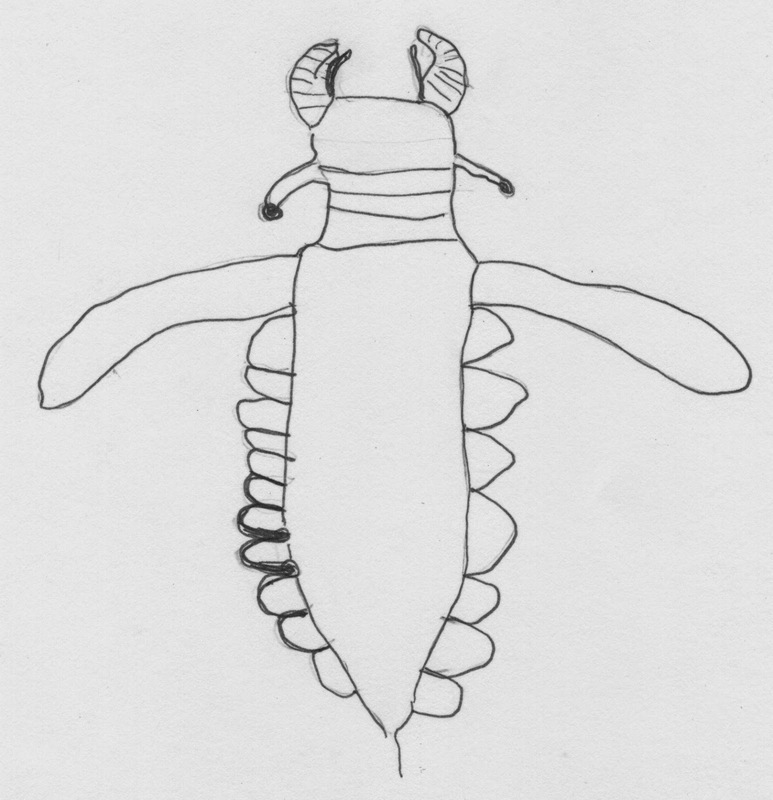 In my opinion, Lyrarapax is similar to Amplectobelua, because the first pair of swimming lobes are very large, and the spine closest to the base of the claw is long and skinny.